While developing this Guide, NASAA has learned that many firms already have begun to implement successfully many of the suggestions in this Guide. 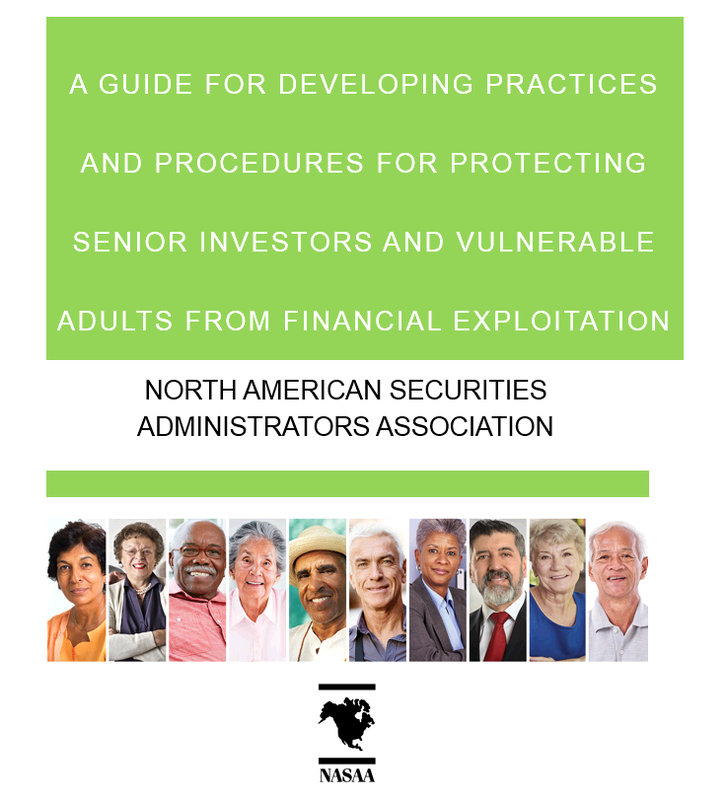 While this is encouraging and formed the basis for many of the suggestions, NASAA hopes that more broker-dealers and investment advisers will think critically about protecting their senior clients from the adverse consequences of financial exploitation and diminished capacity. Implementing robust policies and procedures and training programs that encourage firms to address these issues holistically, and that foster strong relationships amongst industry, state securities regulators, local APS agencies, and law enforcement, will be a significant step toward addressing the serious issues facing seniors and other vulnerable investors.